So I did. 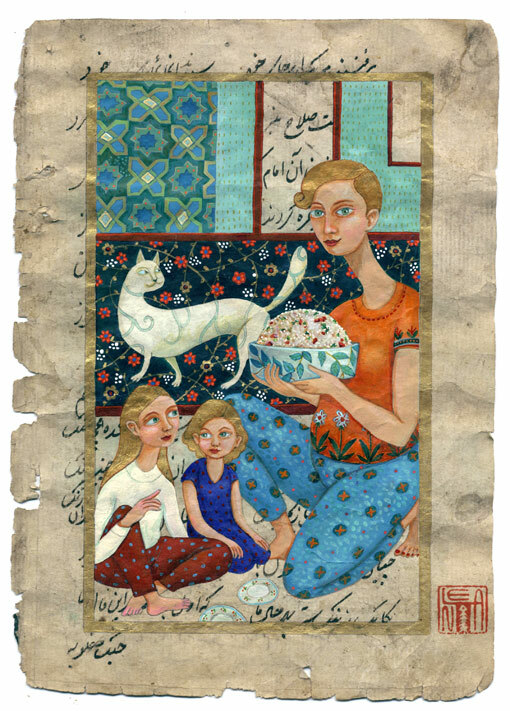 I decided to draw some scenes of our everyday life in persian style: the girls and me having a picnic in our garden, my friend Boaz gives guitar lessons to my daughter… And I don’t know what will come next on the three others :) . 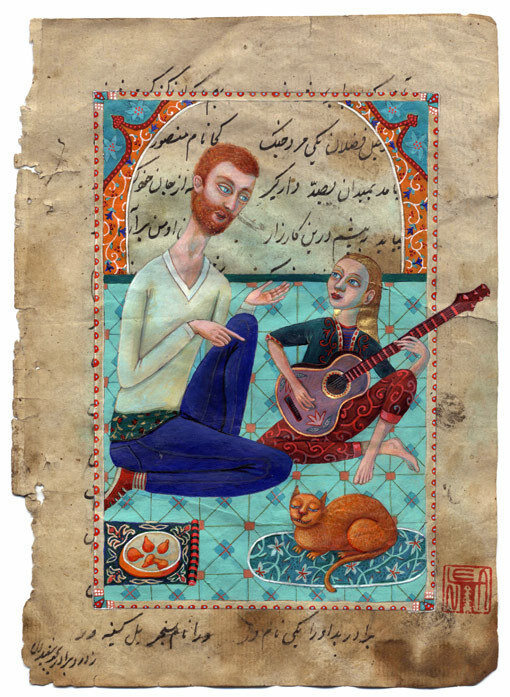 I enjoy so much to touch this old paper with my thin brushes, it absorbs the colors easily, but never makes them blurred. I also wonder, where can I get some more.